Just like all programs, change is inevitable. Change can be difficult, challenging and full of stress but it frequently results in good things. We believe good things are happening for our program. Seven Oaks Farm is in the process of revamping all our seminars. The change comes not out of habit or just because its the thing to do, but out of our dedication. 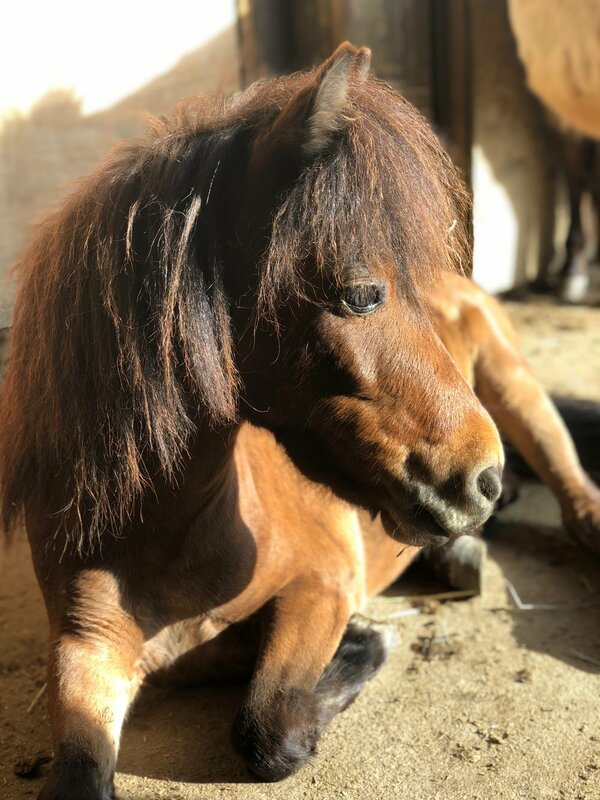 We are fully committed to bringing you the best program we can when it comes to training your miniature therapy horses or handling your miniature therapy horses. Time and experience are an excellent teacher and we have had both. We're growing our program so that you can receive the top quality training you want and expect. We will be adding many more seminars to our yearly schedule so we can specifically meet your needs. Now theres even more than outstanding book work, and lectures and videos but actual hand on training. We are preparing to add several seminars to our calendar this coming year so you can train right here on our farm with our experienced trainers and handlers. All the course material will be conveniently offered with our written materials but also in video lectures. This will allow you to easily read the material and watch the lectures at a speed and time that is convenient for you. Once the material is completed you can join our team at our farm and spend many beneficial hours training as a handler and a trainer under the close supervision of our staff. You will be guided thru the entire process of a visit and be able to use your newly gained knowledge immmediately. We truly believe our new format will give you the hands on experience you've been asking for, offer you our expertise and increase your confidence in your skills. Keep looking for updates to our seminars and consider joining us this year. Ever wish you could attend a seminar to learn more miniature horse therapy? Now you can! First we would like to thank you for all your support and prayers. We've began training again, and all are enjoying the spike in weather. Our full-time handlers are here working with the horses and running them through our training exercises. Once our herd is fully recovered and cleared by the our vet we will return to our training visits. The girls have been hard at work getting horses back into the routine of halters, grooming, and mock-visits. Training around the farm involves lots of petting, loving and working on loud noises and quick movements. We're excited to get back into working toward what we love. All the horses have been very receptive and quick to remember what they have learnd. Wendy, Harley, and Jet are all back to being the cutest things we've every seen and enjoy meandering around the farm while we train with other horses. Spirits are getting lifted and we're getting excited for what's to come. Again, we'd like to thank you for all your thoughts and prayers for our horses. We'll keep you posted with pictures and videos.